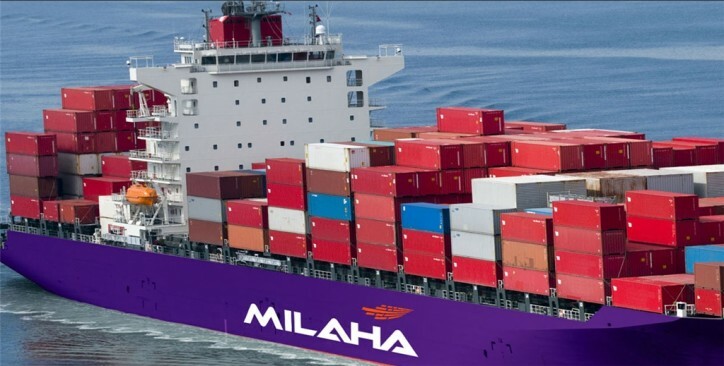 Milaha has embarked on a multi-pronged strategy, which includes opening new shipping routes, especially into Europe and selected South East Asian markets this year, as part of its efforts to further cement its leading position in the global maritime and logistics industry. “Going forward, Milaha will continue to build on its strong position as a partner-of-choice in the maritime and logistics sector in Qatar, while simultaneously expanding beyond the region into other emerging, high growth markets,” its chairman Sheikh Jassim bin Hamad bin Jassim Jaber al-Thani told shareholders at the annual general assembly meeting. Throughout 2018, Milaha played a vital role in enhancing operations at Hamad Port by inaugurating new shipping routes to Qatar. It has launched direct cargo services with several ports in Oman, Kuwait, Pakistan, India and Turkey among other countries. “This year, Milaha will pursue its long-term growth strategy by continuing to expand its business, opening new shipping routes and exploring new markets to contribute to the growth of our company,” its president and chief executive Abdulrahman Essa al-Mannai said in the board of directors report. Highlighting that it’s maritime and logistics segment has created an alliance with three partners in the India-Arabian Gulf sector that is expected to last beyond 2019, Milaha’s board said the expansion plans include entry into Europe and selected South East Asian markets this year. In July 2018, Milaha expanded its operations to the African continent with the deployment of its lift board (accommodation vessel), Milaha Explorer, which supports marine platforms off the coast of West Africa. In pursuit of its network expansion, Milaha launched its first ever container feeder service between Qatar and Iraq in 2018, through an expansion of the existing Qatar-Kuwait services, which will boost the growing trade and economic relations between the two countries. The board said the Milaha shipyard is undergoing a major investment and development plan due for completion in 2020 end to ensure that the expansion of the facilities will support business growth in new areas and sustain the increased market share in the existing portfolio. At present, Milaha shipyard operates two floating docks, one ship-lift and large workshop facilities to provide a diversified range of services to the offshore, yacht, military and ocean going vessel segments. In addition, the division carries out onshore plant maintenance, shutdowns, fabrication and manages several major long-term contracts with oil and gas companies. On its real estate business, which comes under Milaha Capital, the board said the unit maintained high occupancy levels within its diverse portfolio of properties. “Additionally, work continues on a large villa compound that has been under development and is expected to be completed in the second half of 2019,” it said. The ordinary general assembly approved the cash dividend, 30% of par value, which is equivalent to QR3 per share, and the extraordinary general assembly saw shareholders approve approved the stock split, following which face value will be QR1 instead of QR10.